Welcome to Warriors Weekly on history’s doorstep. After losing to the Celtics last Friday, the Warriors could only fall one more time to get the regular season wins record for themselves. Then they lost to the Timberwolves at home in overtime. 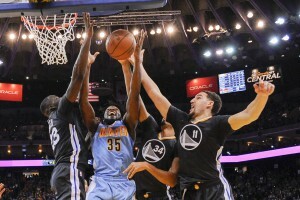 That game combined their issues with unforced errors with an inconsistent defensive performance and a shaky night from three, crystallizing the idea that a rough Warriors outing makes them vulnerable to just about anyone. That said, the Wolves deserve credit for playing hard and battling back. They will be nasty in a year or two. 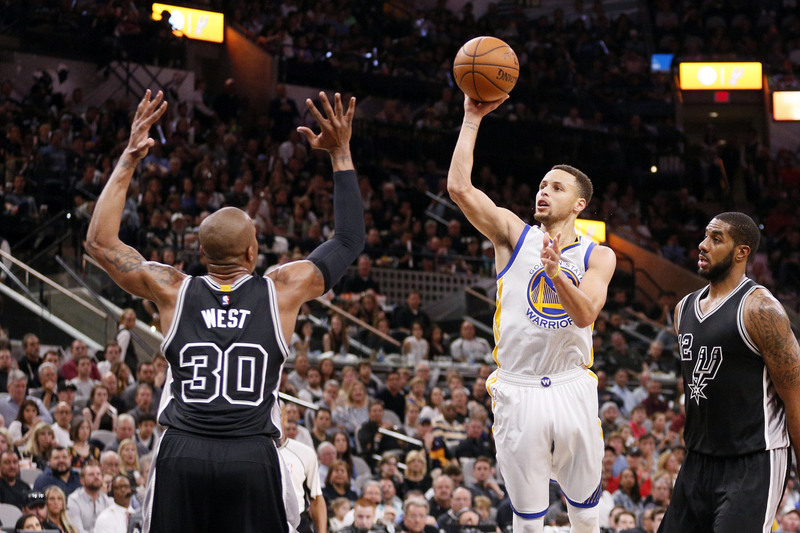 With history looking unlikely, Golden State rebounded and beat the Spurs at Oracle in convincing fashion (they led by 18 at the end of the third quarter) behind big games from Curry, Green and Barnes. The Dubs then pulled another trademark Warriors move from this year: a shaky performance in the game immediately before a bigger game. They were down ten to the Grizzlies with 6:10 to go, came all the way back and held on after Lance Stephenson missed a shot right before the buzzer. 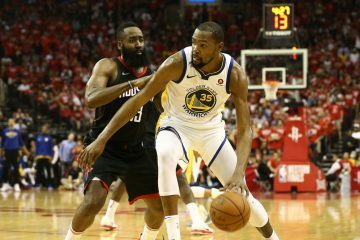 They then had to face down the Spurs on a back-to-back and wiped out San Antonio’s possibility of an NBA-record undefeated home season with stronger defense and another scintillating Curry performance- 37 points on 13-22 from the field and 7-7 from the line with five rebounds and five assists. Gregg Popovich made some interesting lineup decisions (lots of Kevin Martin, some Martin and Kyle Anderson together) but the Warriors played an incredibly strong second half and won the game. Again, the Spurs struggled to stifle Golden State’s lineups with Draymond at center, something to consider in a potential Western Conference Finals even though Pop assuredly has some wrinkles he has not shown yet. This team has an incredible knack for getting themselves out of trouble partially of their own making and this week perfectly encapsulated that duality. Including the playoffs, since the start of the 2014-15 season the Warriors have gone 155-31 (139-26 in the regular season, 16-5 in the playoffs). That is a winning percentage of 83.3%. The Soapbox: The Horror! The Horror! 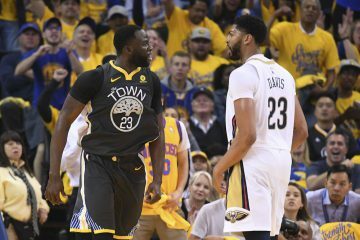 An NBA team’s rotation gets stronger during the playoffs (barring injury) because coaches feel comfortable giving their best players a higher share of the overall minutes. By doing so they shift playing time from the weaker parts of their roster to the strongest ones. Naturally, the teams that benefit the most from this are those with elite individuals and weaker benches since they are adding stronger positives and subtracting stronger negatives. The Clippers and Cavs are good examples of a larger positive change while the Spurs gain less because their second unit is so capable. 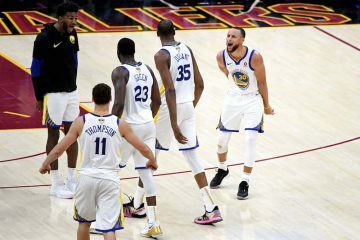 The Warriors’ remarkable season has shifted perceptions around the league about their talent and playoff potency but one key dynamic has gone largely underappreciated: this team will be substantially more dangerous in the playoffs than they were in this history-making regular season. One number that indicates how dangerous this team should be at full strength is how they perform in the clutch, defined for this as games with a margin of five points or less in the final five minutes. The league is pretty well distributed in terms of both record and success- using Net Rating (how a team performs, extrapolated out to 100 possessions), most teams are within the +10 to -10 band. Miami and Detroit’s notable success in these times has helped assure them playoff spots while Utah’s struggles help explain why a talented team still has to fight for one this late in the process. The best clutch teams in the league run from +10.6 (the Clippers) to +16.0 (the Spurs)…except the Warriors, who are an insane +38.6. Saturday’s remarkable comeback against the Grizzlies added to this ridiculousness and provides a good explanation of how it can happen. The Death/Nuclear lineup gets a ton of attention because they ran roughshod through the league for portions of last season, including the NBA Finals. 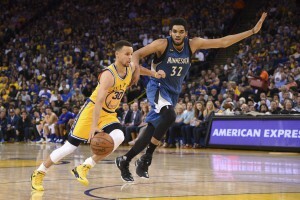 The combination of Curry, Thompson, Iguodala, Barnes and Green was +21.8 in 102 minutes during the 2014-15 regular season and +15.7 in 111 playoff minutes. This group received attention early in the 2015-16 campaign but only ended up getting 171 minutes together this season due to injuries to Barnes and Iguodala. In their time together, the Nuclear Lineup (when the President names a lineup, it sticks) outscored opponents by 47.4 points per 100 possessions. The league’s next best non-Warriors lineup with more than 100 minutes played was a Cleveland one (with Dellavedova in place of Kyrie, interestingly) at +24.2. 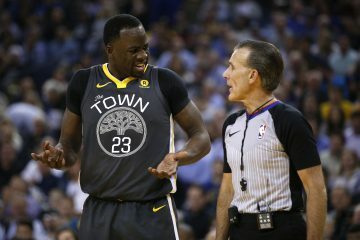 If Draymond is comfortable with it, the Nuclear Lineup could play 20+ minutes in key games and none of the league’s best teams has an effective counter to it. I broke down how the minutes distribution could work out a week and a half ago and since then both Iguodala and Ezeli have looked closer to 100%, making those numbers appear even more plausible even in mid-late April. 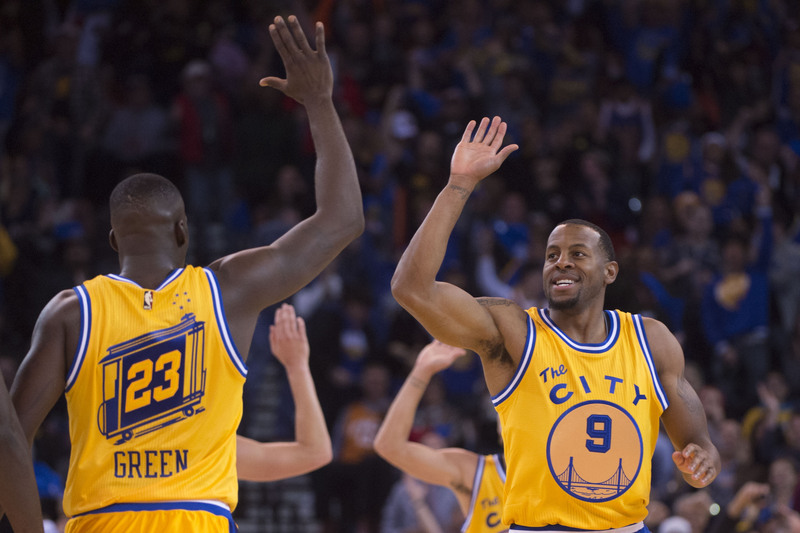 Even though the Warriors have fewer “bad” minutes than most teams who receive a major boost from the shift to playoff rotations, they will also get additional benefits from playing Andre Iguodala more with Draymond and Bogut. Kerr has given Andre the responsibility of anchoring the second unit, so even just reducing their share of minutes and increasing Iguodala’s slightly will re-distribute his impact and the possibility of more Nuclear Lineup time could align it even more. In 260 minutes with Iguodala, Green and Bogut on the floor, the Warriors allowed just 97.7 points per 100 possessions and just 95.2 per 100 with Green and Iguodala, which would have been second in the NBA behind Kawhi Leonard and Tim Duncan if they had played enough minutes together (just 1,017). As the league saw last night, the Warriors’ defense often fuels their offense with a feedback loop that is awfully hard to break considering how nasty Curry and company are in transition. It is amazing to consider but this team has another gear in terms of personnel and should be able to step up their intensity as well. Get ready- this should be an experience. One more regular season game with 73-9 on the line. 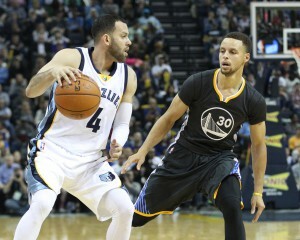 Memphis will have plenty to play for since they are in the playoffs but have lots of variation in terms of potential seeding while the Warriors have to balance their desire to secure history with the understanding that they have far loftier goals in the immediate future. The Warriors will also host Game One of their playoff series over the weekend, opponent and date/time still to be determined.